In today’s competitive business landscape, we’re all looking for an edge. We’re looking for that silver bullet that will not only set us apart from the competition, but also deliver efficiencies and greater results when communicating with customers. Challenged with engaging and driving customer behavior, companies are looking for new ways to communicate better both internally to associates, and externally to customers and outside sales reps. In a word; we’re all grasping for control. And the pathway to control leads us to technology. Bringing on a new technology to communicate better, or even contemplating it can be intimidating when it comes to deciding what purchase to make. The first question any business should ask themselves is; what’s the outcome that will make this investment a success. Start with the end in mind and follow a few simple rules to determine what makes the most sense for your organization. Running a business can be an arduous task. 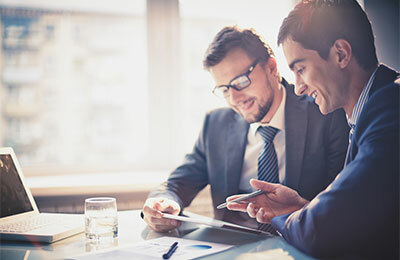 In addition to offering a desirable product or service, a successful businessperson must possess the finely honed abilities to manage budgetary and time constraints, tailor communications to the needs of each potential customer or market segment, and provide ongoing customer service and support. Incorporating technologies into your process shouldn’t add to the already heavy burden of running a business; rather, it should alleviate it. New business communications apps such as Command.app are designed to do just this by providing dynamic, powerful, and eminently user-friendly tools that can help you to streamline your business processes and achieve your marketing and sales goals. By putting technology to work, these apps aim to help businesses construct more agile, capable selling machines—and then, take them on the road. Moreover, apps such as these at a trade show give exhibitors not only a cutting-edge advantage, but also an avant-garde appeal based upon their adoption of innovative, attention-getting tactics that place them miles above the competition. Explore ideas such as enabling the user to dynamically customize a presentation in real-time, empowering them to address the specific needs of your prospects as they identify needs. See what tools can leverage Best Practices and inherently bring your lesser performers up the levels you expect. Once your team feels they’re on the right track as to how they ideally would like to present themselves and communicate with clients, start looking for a technology that will fit the bill. See what’s out there, view some demos and get a real understanding of what tools smash the constraints of the one-way presentation. A great sales presentation technology will make all your sales associates look confident and well prepared. Important elements to creating your ultimate digital briefcase reside in expanded features that make it easy to gather information and capture vital data from the field. Imagine ongoing intelligence about what’s being talked about and shown by your best performers, and think about the results if you could leverage that knowledge to coach up your other associates to make them more effective. Today’s technologies need to not only work for the task at hand, but also gather data to be analyzed to improve presentation materials and communication techniques. 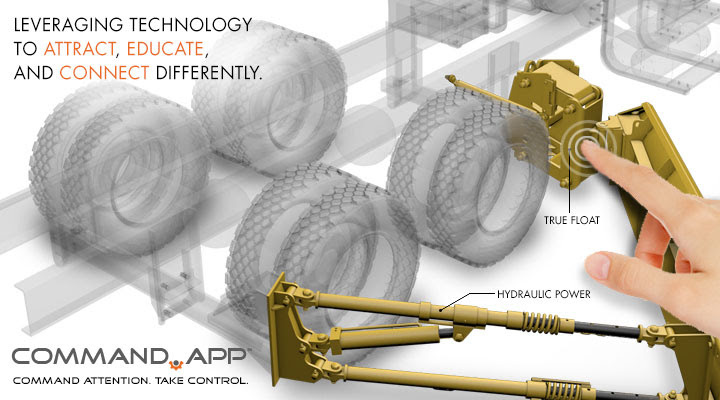 The right technology can automate, simplify and standardize many aspects of the way your company communicates. But technology can do more than that if properly implemented into your organization. A thoughtful implementation process that takes proper change management in mind, can transform technology into one of your company’s strengths, enabling your business to be more efficient, more productive and more responsive to customer needs. The right technology needs to have the platform structure that can not only gain early user adoption, but also scale with additional tools and feature sets which will continue to improve your associates on the front lines. Wherever your travels may take you, powerful communication apps such as Command.app can give you the control you need to improve your business. Successful enterprise level apps such as these can help to manage your sales and marketing materials, supporting documents, and media files both internally and externally. An easy to implement app as such should also be equipped to manage information related to all the products and services you offer, and to organize their information for different market segments and stakeholders. In other words, with a technology such as Command.app, everything you need to present your products or services—and to cater your presentation to the audience at hand—is on hand anytime, anywhere. Today’s business communication technologies such as Command.app — which offers a powerful yet user-friendly assortment of tools for optimizing your sales experience — can help to set your products or services apart from the countless other ways your competitors present themselves. Whether you’re striving for the utmost convenience in the form of a dynamic handheld iPad sales app or looking to dramatically enhance your product demo with an interactive visual aid, new technologies can provide solutions that can thrust your product presentations into the realm of cutting-edge. In the end, the ultimate goal of any communication technology is to empower your associates and representatives. The right communication technology can make a huge impact on any organization large or small. 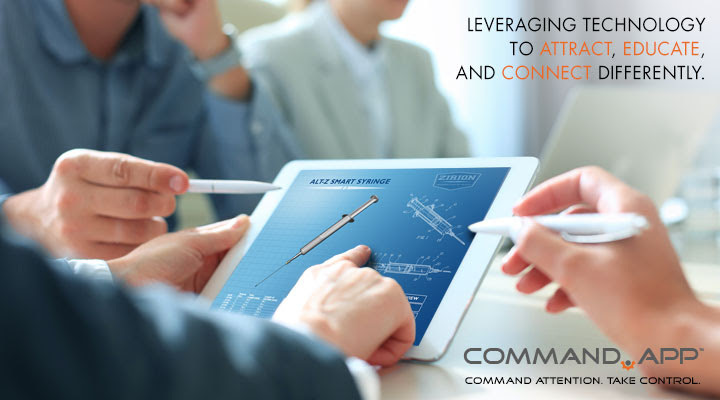 Contact us to learn more about Command.app!